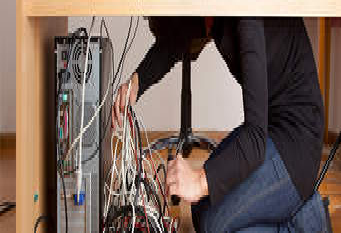 As a network engineer there several network issues that you will be call upon to troubleshoot and resolved. Hence it is believed that every network is bound to run into problem at some point, however , there are a lot you can do to minimize these problems, these includes regular preventive maintainance, this will not only keep your network at its peak but also bring to a minimal the corruption, so that when difficulties arise you will able to pin point the problem easily. below are some of the problems you may encounter in your network and how to fix them. If you ever experience no connectivity or connection on your network, this can be an indication that there is a physical problem or a lose cable or a defective network adapter. Check and make sure that the cable connections and the light emitting diode on the adapter or the lighting diode light on the network adapter. The possible solution could be resetting the connection, replacing the cables, or reinstall/ replace the adapter as necessary. On another thought, check on your IP network, check for a missing or incorrect IP address, if the address is manually configured, this could be a data entry error. Reconfigure the IP connection. If setting is automatically configured, DHCP host server might be down. Make sure that the DHCP server is up and that the clients are physically connected to the network. This could happen if the network is experiencing heavy traffic and many collisions. To slove this problem check the activity status indicator light for the collision frequency; this could be a temporarily network condition that will pass with time but if it didn’t go away , I think it time for you service provider to upgrade your network bandwith or data rate to increase your throughput. If you having this problem you should check your gateway address if it is configure correctly, the gateway might also be down, or there might be a problem with service providers. You have to check the default gateway address and confirm that it is working properly before you the contact your internet service provider ISP to find out if there is a problem from their end. The proxy setting may also be incorrect. So I advice checking all these, before escalating to higher level. Limited connection to a resources or network location can be due to insufficient permission or an unavailable target network resource. To resolve this problem check and make your devices running on the server and also connected to the network, and check to be sure that the user has appropriate authentication system to access the server. Whenever a connection is done using an IP address but no name, this could an indication that the Domain Name System configuration is incorrect or even the DNS server could be down at this moment. Make sure also that the host file is configured properly. Check the IP configuration settings and verify the DNS serve is up and running, and also the host file does not contain incorrect entries. Intermittent connection: generally I class this as a problem cause by noise. Noise form of unwanted signals on the network media causes problems. Low RF signal: if this happens then there is an issue with the access point. The access point might have failed, lost power or even be misconfigured. For instance, if the Media Access Control filtering is enabled at the access point then the pc might not be able to connect if the problem is isolated to a single computer. So you need to verify the setting of both. SSID not found: in the case that a computer wireless interface did not detect the SSID of a wireless access point , it may be difficult or impossible to connect to the access point. This could sometimes happen if the access point has its SSID broadcast turned off. But in the case that all other devices are seeing the SSID, the connecting device wireless adapter may be damaged, or drivers corrupted. Also check to make sure that the connecting device is actually within range of the wireless router broadcast and also that there is no electrical interference in between these devices. I hope you find this tutorial helpful, and I will like to thank you for visiting my blog once again. ← The Mobile Cloud Era.